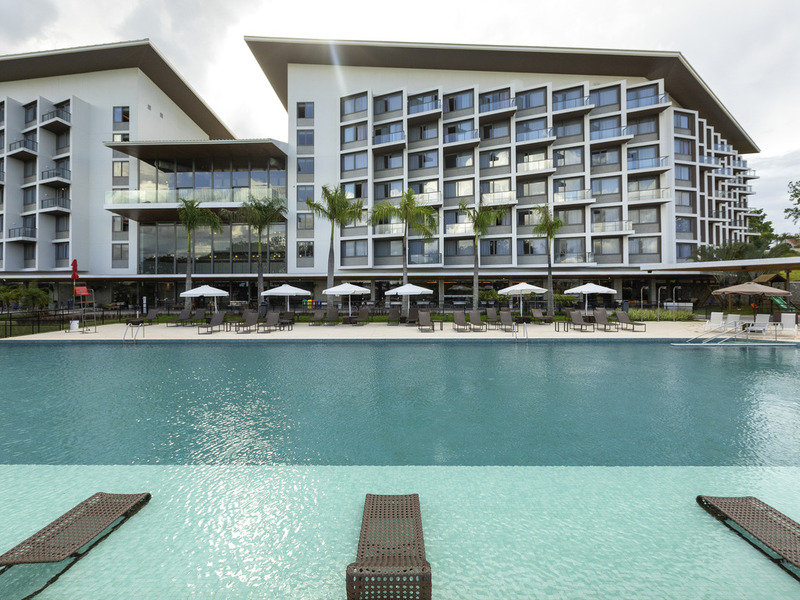 In Itu, near São Paulo, Novotel Itu Golf & Resort is ideal for business or tourism trips. Modern rooms with views of green grounds. The leisure space has an infinity pool, games room, playground, kids space, soccer field, tennis courts, L'Occitane Spa and sauna and steam room. Our monitors organize activities for children and adults. Easy access to golf course and equestrian center of Terras de São José. Pet Friendly Hotel! Pets up to 10 kilos are accepted. See Hotel policies. Apartment with two single beds adapted for people with reduced mobility. Enjoy our full breakfast. For lunch and dinner, enjoy delicious dishes in our Buffet or chose from our à la carte menu. On Saturdays, enjoy the famous Feijoada Novotel, with live music and Caipirinhas. The Gourmet Bar is perfect for dining out with the family or enjoying a drink with friends during happy hour. The ideal place to relax! Make the most of your downtime and enjoy a wonderful view while sipping a drink at the pool bar.